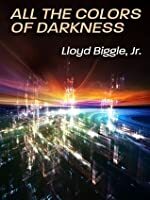 All the Colors of Darkness by Lloyd Biggle Jr.
We’d love your help. Let us know what’s wrong with this preview of All the Colors of Darkness by Lloyd Biggle Jr.. 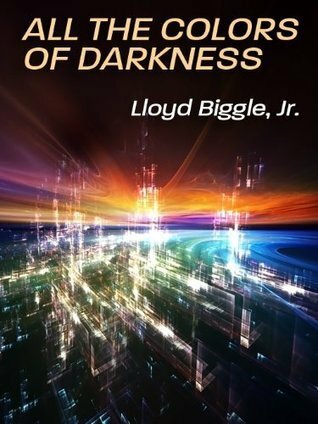 Preview — All the Colors of Darkness by Lloyd Biggle Jr. He was their captive on the moon. Jan would have given anything to know whether those "faces" masked emotions of violence, contempt, murder - or worse - if this alien race had emotions at all! His one chance at escape depended on knowing. And he had to escape - for if these creatures decided that the soul of earth were the wrong color, then they would destroy the world! To ask other readers questions about All the Colors of Darkness, please sign up. This novel harkens back to the early 1960's. The future that All The Colors of Darkness has to tell us is the year 1986, when a company called Universal Transmitting Company discovers instantaneous transportation from one locale to another. By walking into the transmitting machine a person will instantaneously be transmitted to a destination that has a receiving machine. Just as this company is about to transform the transportation industry, they are beset by sabotage and mysterious people that This novel harkens back to the early 1960's. The future that All The Colors of Darkness has to tell us is the year 1986, when a company called Universal Transmitting Company discovers instantaneous transportation from one locale to another. By walking into the transmitting machine a person will instantaneously be transmitted to a destination that has a receiving machine. Just as this company is about to transform the transportation industry, they are beset by sabotage and mysterious people that are transmitting out, but not being received. The company hires a detective, Jan Darzek, to look into this matter before it becomes headline news and destroying the company before they can make their march to the forefront. Jan, discovers that the people that have "disappeared" were in fact the same people over and over, using elaborate disguises and false identifications. As he follows one of these mysterious persons down the transmitter's walkway, he dives in at the same time the person goes through, only to find himself on the moon, and the person he followed is more than a person wearing a disguise. He finds himself confronting a small group of aliens bent on stopping mankind's discovery of transmitting matter instantaneously, as that is the first step to interstellar travel, and they have determined that mankind is too immature to join the galactic community. First volume of the Jan Darzek series, set in the far flung future year of 1986. My wife is a fan of this series, so I decided to give it a try. The first volume was published in 1963 and imagines a future 1986 in which a company has perfected a matter transmission system, allowing cheap, instant transportation to and from any point on Earth as easily as walking through a booth and exiting another booth at the destination. There's only one problem: someone doesn't want the company to succeed and First volume of the Jan Darzek series, set in the far flung future year of 1986. My wife is a fan of this series, so I decided to give it a try. The first volume was published in 1963 and imagines a future 1986 in which a company has perfected a matter transmission system, allowing cheap, instant transportation to and from any point on Earth as easily as walking through a booth and exiting another booth at the destination. There's only one problem: someone doesn't want the company to succeed and they're sabotaging operations. Jan Darzek, a New York private detective, is called in to investigate. He's their first choice for two reasons, he's friends with the chief engineer and he's a stock holder in the company. He goes to work and identifies the culprits pretty quickly. It's not the expected railroad or airline operatives but a much more mysterious group. Then Darzek vanishes without a trace while following one of them through a transmitter. I really enjoy books like this: mid-century sci-fi, light on the science, playful with the fiction. The story was nothing spectacular, apart from a fun section near the beginning, where a PI has to investigate a disappearance that occurred during the first week of business for Universal Trans - a company that has finally perfected teleportation for a mass consumer market. After that subplot winds down, things are pretty slow all the way to the end. But the whole thing is full of great details th I really enjoy books like this: mid-century sci-fi, light on the science, playful with the fiction. The story was nothing spectacular, apart from a fun section near the beginning, where a PI has to investigate a disappearance that occurred during the first week of business for Universal Trans - a company that has finally perfected teleportation for a mass consumer market. After that subplot winds down, things are pretty slow all the way to the end. But the whole thing is full of great details that scream the sixties, like the fact that a character trapped in a bunker on the Moon never seriously considers he might want to stop smoking to preserve the oxygen. I have been a fan of Lloyd Biggle for decades. Since he has been long dead and out of print, I have had to haunt used bookstores to find his books. Although I love this book, my favorite in the Jan Darzek series is Watchers of the Dark. I was thrilled to find them in Kindle books. I probably first read this way back in high school, but enjoyed reading it again. A story of inscrutable aliens and clueless earth people. A bit dated in the minor details, but still a good read. This book was astounding. It had little jokes that got a chuckle out of me, every character had some depth and the tale was intriguing. I highly recommend this title. How is it that I've never ever heard of Jan Darzek before? He's right up there with Elijah Bailey in future gumshoes, (now that I know he exists). You wouldn't think an almost noir (it's a little too bright and happy for noir, but the other elements are all there) detective novel and a classic speculative fiction piece would be the same book, but here it is. It starts out with a look at how the would would change with Transporters.. moves into a detective novel, then finishes up with a fascinatin How is it that I've never ever heard of Jan Darzek before? He's right up there with Elijah Bailey in future gumshoes, (now that I know he exists). It starts out with a look at how the would would change with Transporters.. moves into a detective novel, then finishes up with a fascinating and unique take on the Prime Directive... all before Star Trek. I wonder if Mr. Roddenberry ever read this? I'll definitely be tracking down at least the next Darzek novel. Biggle was born in 1923 in Waterloo, Iowa. He served in World War II as a communications sergeant in a rifle company of the 102nd Infantry Division; during the war, he was wounded twice. His second wound, a shrapnel wound in his leg received near the Elbe River at the end of the war, left him disabled for life. After the war, Biggle resumed his education. He received an A.B. Degree with High Distin Biggle was born in 1923 in Waterloo, Iowa. He served in World War II as a communications sergeant in a rifle company of the 102nd Infantry Division; during the war, he was wounded twice. His second wound, a shrapnel wound in his leg received near the Elbe River at the end of the war, left him disabled for life. Books by Lloyd Biggle Jr.